With modern dentistry, it is now possible to keep your existing teeth and create natural looking false ones. A dental implant is an artificial tooth root shaped like a screw and surgically placed into the jawbone to secure the tooth. 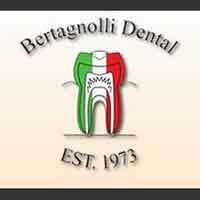 If you are considering dental implants the professionals at Bertagnolli Dental have the knowledge and state of the art techniques you need. If you are looking in Westminster for dental implants contact our office today. The dental implant is placed directly in the jawbone. When anchored the implant fuses with living bone with the healing time usually taking 3-6 months. Once completed, a crown is placed over the post to complete the restoration making teeth that look and feel just like your own! We also offer a comprehensive list of restorative, general and cosmetic dental care services for the entire family such as teeth whitening, veneers, dentures, crowns, general check-ups/teeth cleaning and sedation dentistry. When you are looking in Westminster for dental implants call and schedule your appointment today.